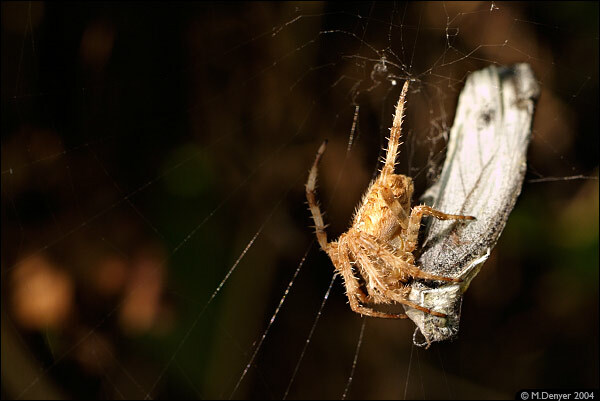 Fairly common UK spider tucking into an unfortunate moth. Loughborough, UK. Composite of 2 RAW 'exposures' to ensure the highlights on the moth were not so blown out.